I would hold this perfect schedule in my head, and then I would plow my way through my day beating my day into submission. And then when things didn’t go exactly according to my ideal schedule I would feel like I was failing at life. It was exhausting, and I felt like I was failing most days. So over the last few months I’ve been making more of an effort to relax… which sounds like an oxymoron ha! But relaxing is not something that comes naturally to me so I have to work at it. But there’s a few things that I’ve been doing that have really helped me to let go of this “ideal” day standard that I was setting for myself. TIP 1 | Do create a structure for your day, but keep it loose. For me, I need some sort of expectation for our day otherwise I won’t get anything done. So I’ll create a few things I want to accomplish (such as: laundry, go to the play place, edit photos), but I don’t give myself a timeline with those things. So at some point I know I’ll be doing laundry, but if the morning ends up being very hands on with my girls, I can do laundry later in the day. Or if my girls are playing quietly together, and don’t need me I can get some editing done. This has helped a ton because I know I have an outline of a schedule, but I haven’t failed if things aren’t done in a certain order, or if things are a bit disjointed. You don’t just have ONE day to get things done right? You have a week, a month, a year. I often have such a shortsighted view of time that I get stressed out when things aren’t done THAT day. Even with an outline of what I want to get done in a day, sometimes I just don’t get it done… and that’s okay. Because there’s always tomorrow, there’s always the weekend, there’s always next week. Unless it’s an urgent matter that HAS to be done immediately, most jobs can wait… and they won’t mind waiting. Letting go of that need to get everything done right away allows for more space to notice things as they are happening. I can be much more in tune with my girls if I know the kitchen can wait, but their request to read a book can’t. You have the right to determine how often the bathroom get’s cleaned. Some weeks it will try to tell you it needs more than one cleaning, but you can tell it to wait. Same thing with your floors… you can tell those crumbs to wait until floor cleaning day. This was a hard one for me to learn, but it’s been so good for me. I put my household jobs in their proper place, and it has significantly reduced my need for perfection. Things are a bit messier, but now when the dusting calls to me, I can remind it that it will be done on Tuesday. There are still many days when I fall prey to the feelings of failure, or times when I allow stupid distractions (like being on social media more than I should) to hinder my overall goals for my family, but having a very mindful approach to being more flexible (again, that sounds like an oxymoron!) has really helped me to relax and actually enjoy our days. And I find that overall I’m much more productive with a looser schedule… and I feel less anxious about how I’m “doing” as a mother. 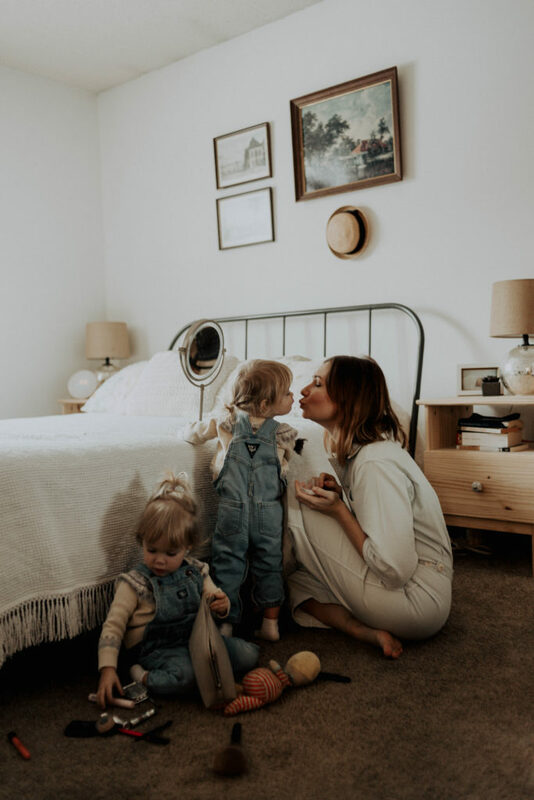 Being more flexible allows me to be more present for both my girls and my husband and that’s hugely valuable for all of us. Mostly I’ve learned that some days will be great. Some days you will live up to your absolute ideal. You’ll get three meals on the table, you’ll do an art project, you’ll get out of the house, the house get’s cleaned, and everyone is happy. And then some days it will all go terribly and you’ll end up eating McDonald’s in front of a movie for dinner. But NEITHER the good days nor the bad days define how you’re doing. They’re JUST bad days and good days… nothing more. If you have a good day then great! That day was great. If you have a bad day, that’s okay! There’s always tomorrow. Neither one has the power to make you either a good mom or a bad mom (or good person/bad person). And if you have one or the other it doesn’t mean that those are the kind of days you’ll have forevermore. Give grace to yourself friends. Is this something you struggle with? I hope you found this useful! Do you have any tips for becoming less rigid in your schedule? Yes, yes, yes. 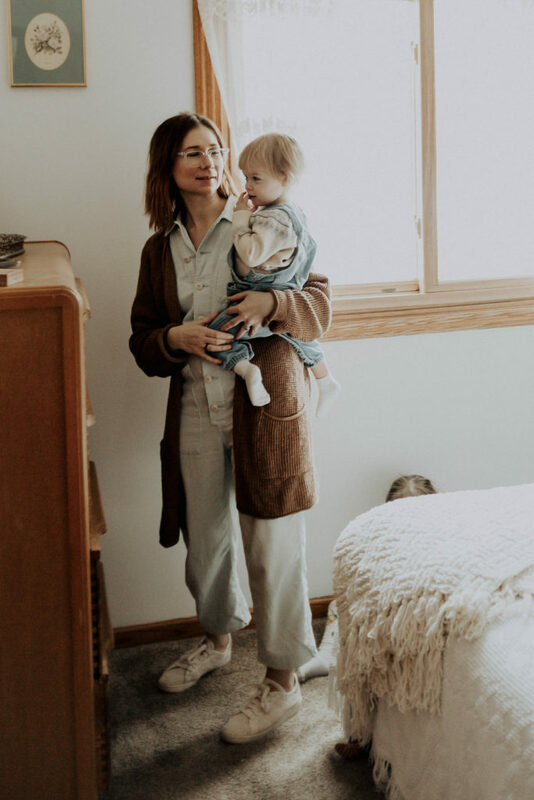 The days when I get to the end and ask myself if I was a good-enough mama to them are always the days when I tried to do too much or tried to blend work and parenting in ways that weren’t organic (I work out of the office MWF most weeks, but sometimes it sneaks into my T/Th/weekends). The answer is, yes, I was a good-enough mama (we all are), but also that I didn’t let myself enjoy them or this precious time with them because I was more interested in the project that I was tired of putting off or the work issue that really wanted my attention (so much that I gave in and offered it). 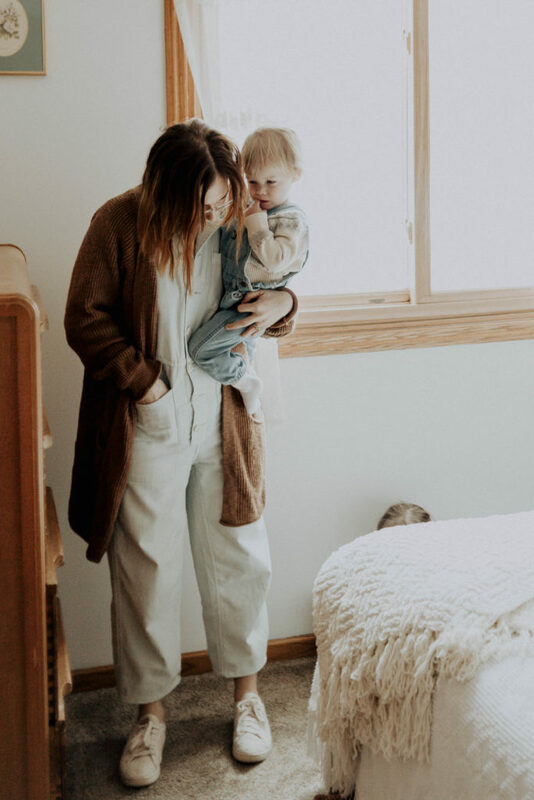 It’s complicated; so much of this is wrapped up in bigger systemic things like what we expect from working and SAHM moms (and those who straddle, like me), and the very real burden of emotional labor that so many mamas carry around day to day. 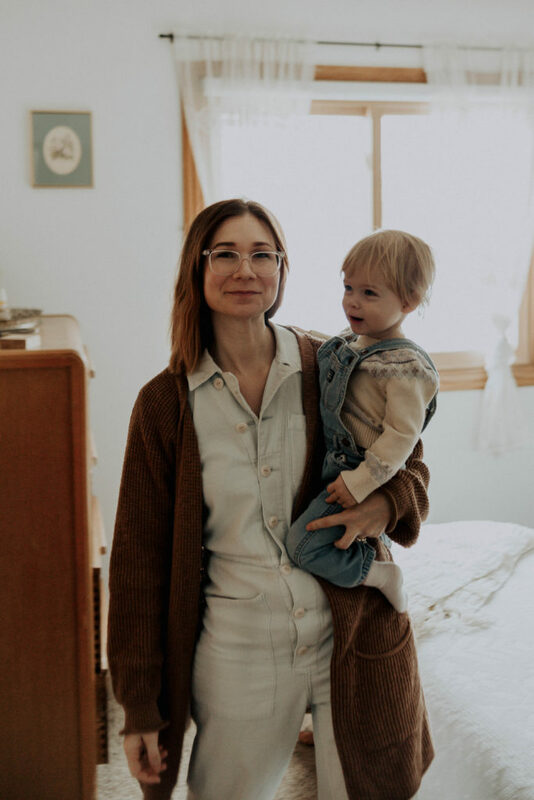 And I think (the collective) “we” don’t quite talk enough about just how disruptive parenting is to a woman’s sense of self (especially compared to dads, who so often, get to retain so much of their identities, instead of shedding almost everything familiar for this new role). I am not bad-rapping dads or husbands, but I want to name the things that make this difficult, because there’s so much woven into our day to day experiences that we take for granted or no longer notice. This is so good Rebecca! 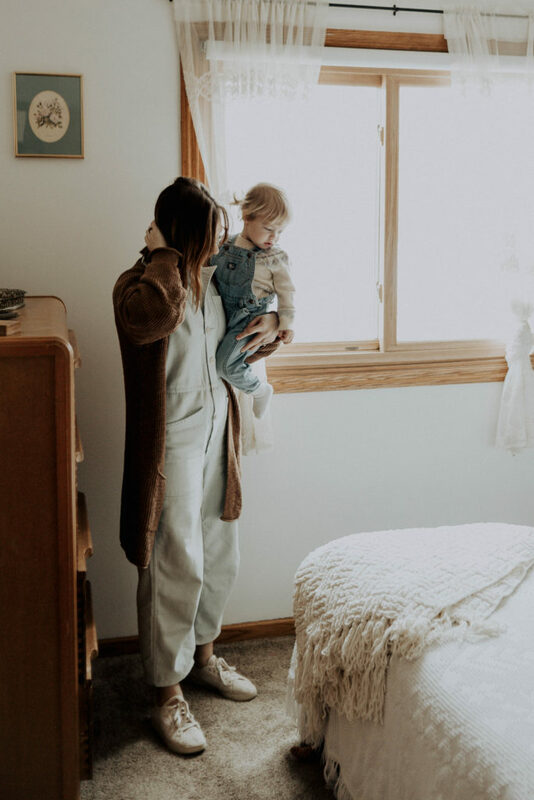 And I recognize your heart in not downplaying a dads role, but its true that a mother’s life is more uniquely changed than a dad’s life is so there is a huge shift that needs to take place, and that shift can be confusing, painful, and hard. I’m glad more people are talking about this shift though because it makes it seem much less of a bad thing, and more of a normal rite of passage.